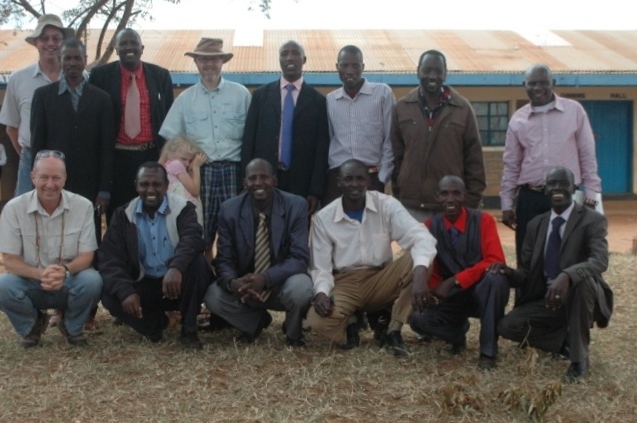 On our way to Olepishet (all seven of us) for the DTS graduation this past weekend, we stayed the night at the CCC / CMF training center in Ewaso Ng’iro. While there, we had an opportunity to meet with Moloi ole Nkurma, our brother in the Lord and one of our three primary co-workers for our children’s curriculum development projects. (The others are Jackson La Sang’urukuri, a Samburu, and Harrison Kyalo, a Kamba; Moloi is Maasai.) 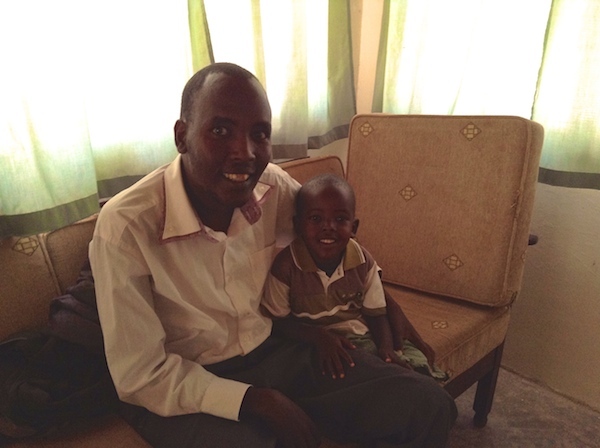 He is currently working on a Masters’ degree in child development and truly has a heart for the children of Kenya. His day job is as a teacher of the children in some of the programs at the center. He is currently on sick leave, however, from his work and his studies. At first he was diagnosed with anemia, but no treatments seemed to help. A week or so ago, he had a colonoscopy, and the doctors found some sort of problem. On May 27th, he will be checking into the Tenwick Hospital for some type of surgery. Please pray not only for our work together, but also pray for the restored health of this faithful ministry partner. Elijah Moloi ole Nkurma has three children. Here he is with David, who is four, just like our son Zerachiah, who was impressed that his new friend had the same name (was a “paarna” with) as that David who slew Goliath.